Brush Brooklyn Bred Crust generously with olive oil. 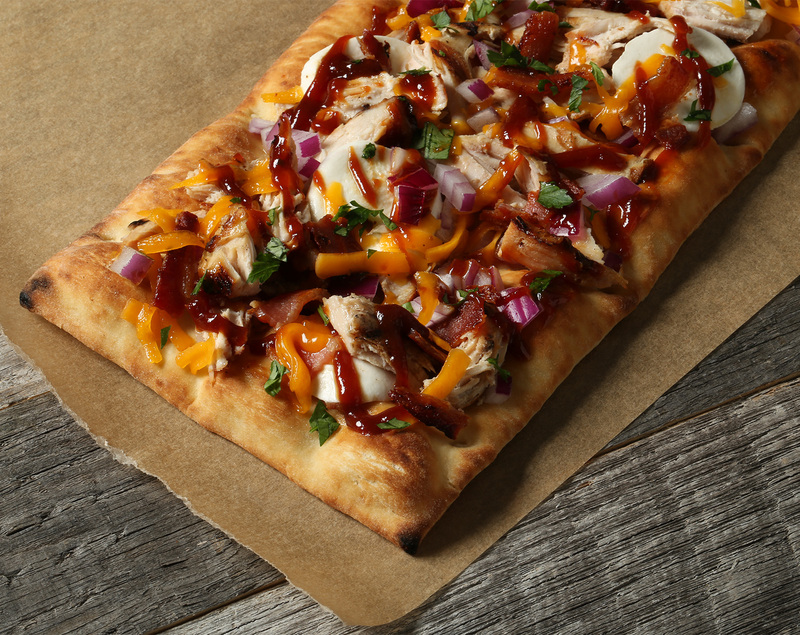 Spread barbecue sauce evenly along crust. Top with cooked chicken and bacon and then top with blended cheeses. Bake directly on rack or pizza stone at 400 degrees for 10 minutes, or until toppings are melted and crust is crisp. Remove and top with red onions and sliced scallions. Serve immediately.